Pope Emeritus Wears a Baseball Cap! a Mahony, O'Brien and Cormac Murphy-O'Connor free zone. 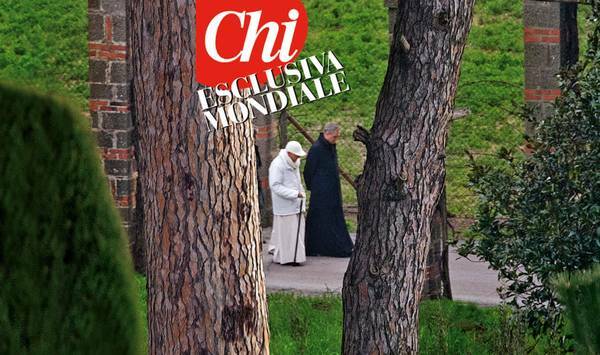 "Head of Select Clergy Apostatizes"; "Cowardly Pope Flees Rome"
This sin means that one knows that Christ is God, the Messiah, the Son of God and, still, one denies Him in a public setting. The First Pope committed the sin of formal apostasy. He denied Christ, not once, given the chance to change his mind, but three times. We read about this sin several times in the Liturgical Year. God knew Peter would deny him. God chose Peter to be the First Pope. Years later, Peter was running away from the persecution of the Catholics in Rome. God stopped him, and Peter turned around and went back. Peter is one of the Twelve Apostles raised up by God equal and greater than the leaders of the Twelve Tribes of Israel. We are all called to perfection. Some respond better than others. Some try to avoid suffering. Some sin grievously I do not throw stones. I am a sinner. Should a great sinner not accept, in fact, refuse immediately, a high position in the hierarchy of the Church? Yes, that would be the perfect thing to do. 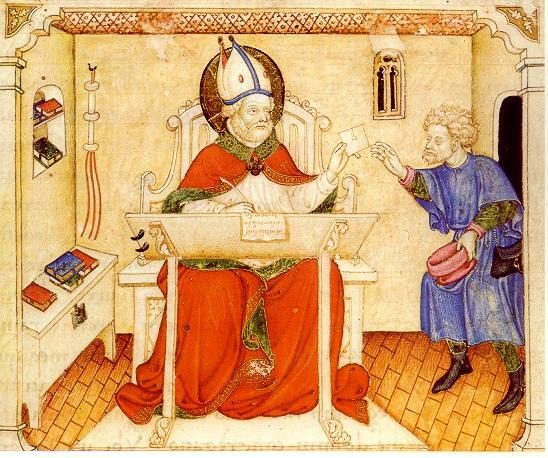 Peter did not refuse to be Pope. Pope Peter did not resign because of past sins. Peter sinned, seriously, and the media would have made mincemeat of him. Can you imagine the headlines? I have two possible ones above, and more here. The media does not understand love, only money. If one wants a view as to which countries have a thriving Catholic base, I can tell from my readership stats. By far, the two continents with the most interest in my very Catholic blog are North America and Europe. After those two continents, the third and fourth place may surprise you all. Australia and India come in third and fourth. This means to me that those who are conservative in their Catholicism, or those who want the real deal are from North America, Europe, Australia and India. Of course, these are not all English speaking areas. Interesting. And fifth place? Malaysia. Truly interesting. Pray for those places, as the strong Catholics are learning, praying, reaching out. Of course, this statistic is also based on who uses the Net and follows blogs. I have people from every continent reading this blog, but these are the top five areas of hits. I am hopeful. These numbers and places give me hope. In Chapter 18 on his book on perfection for the clergy, Ambrose takes a digression into speaking to youth on modesty. He connects modesty with chastity. On the different functions of modesty. How it should qualify both speech and silence, accompany chastity, commend our prayers to God, govern our bodily motions; on which last point reference is made to two clerics in language by no means unsuited to its object. Further he proceeds to say that one's gait should be in accordance with that same virtue, and how careful one must be that nothing immodest come forth from one's mouth, or be noticed in one's body. All these points are illustrated with very appropriate examples. 67. Lovely, then, is the virtue of modesty, and sweet is its grace! It is seen not only in actions, but even in our words, so that we may not go beyond due measure in speech, and that our words may not have an unbecoming sound. The mirror of our mind often enough reflects its image in our words. Sobriety weighs out the sound even of our voice, for fear that too loud a voice should offend the ear of any one. Nay, in singing itself the first rule is modesty, and the same is true in every kind of speech, too, so that a man may gradually learn to praise God, or to sing songs, or even to speak, in that the principles of modesty grace his advance. Some people think that what we call "manners" are things with which society can dispense. On the edge of the fall of the Roman Empire. as the barbarians were edging towards Rome, a fall which was inevitable, but in the future, Ambrose could see that there was a need for grace in speech and deportment. Wouldn't it be nice if those in the Catholic Church before and after Mass understood the necessity for silence? Would it not be wonderful if those in the media would understand reticence? 68. Silence, again, wherein all the other virtues rest, is the chief act of modesty. Only, if it is supposed to be a sign of a childish or proud spirit, it is accounted a reproach; if a sign of modesty, it is reckoned for praise. Susanna was silent in danger, and thought the loss of modesty was worse than loss of life. She did not consider that her safety should be guarded at the risk of her chastity. To God alone she spoke, to Whom she could speak out in true modesty. She avoided looking on the face of men. For there is also modesty in the glance of the eye, which makes a woman unwilling to look upon men, or to be seen by them. Too often in our culture, we believe that speech must be aggressive to be taken seriously. We believe that speech shows integrity, and silence means deception. This is a new and odd idea which has grown with the over-stimulation of the media. The silent man or woman was honored in older stories and folktales, as those listening could understand that humility meant reflection, reticent, right judgement, a quiet spirit. Youth do not have to be loud. 69. Let no one suppose that this praise belongs to chastity alone. For modesty is the companion of purity, in company with which chastity itself is safer. Shame, again, is good as a companion and guide of chastity, inasmuch as it does not suffer purity to be defiled in approaching even the outskirts of danger. This it is that, at the very outset of her recognition, commends the Mother of the Lord to those who read the Scriptures, and, as a credible witness, declares her worthy to be chosen to such an office. For when in her chamber, alone, she is saluted by the angel, she is silent, and is disturbed at his entrance, and the Virgin's face is troubled at the strange appearance of a man's form. And so, though she was humble, yet it was not because of this, but on account of her modesty, that she did not return his salutation, nor give him any answer, except to ask, when she had learned that she should conceive the Lord, how this should be. She certainly did not speak merely for the sake of making a reply. Silence marks the mature Christian who does not have to prove anything to anybody. Are we too argumentative just for the sake of pride? Can we not wait, listen, reflect? The silence of the desert fathers and the monastic life of Ambrose indicated a healthy balance of contemplation and action. One gives up rights in being silent. The humble man is wiser than he who speaks too much and about nonsense. I am an idea person. Too many conversations are about things, such as vacations, cars, clothes. How sad that people are stuck in the pride of goods, rather than in the contemplation of God. 70. In our very prayers, too, modesty is most pleasing, and gains us much grace from our God. Was it not this that exalted the publican, and commended him, when he dared not raise even his eyes to heaven? Luke 18:13-14 So he was justified by the judgment of the Lord rather than the Pharisee, whom overweening pride made so hideous. Therefore let us pray in the incorruptibility of a meek and quiet spirit, which is in the sight of God of great price, 1 Peter 3:4 as St. Peter says. A noble thing, then, is modesty, which, though giving up its rights, seizing on nothing for itself, laying claim to nothing, and in some ways somewhat retiring within the sphere of its own powers, yet is rich in the sight of God, in Whose sight no man is rich. Rich is modesty, for it is the portion of God. Paul also bids that prayer be offered up with modesty and sobriety. 1 Timothy 2:9 He desires that this should be first, and, as it were, lead the way of prayers to come, so that the sinner's prayer may not be boastful, but veiled, as it were, with the blush of shame, may merit a far greater degree of grace, in giving way to modesty at the remembrance of its fault. The is nothing wrong with shame. Shame means one is not arrogant about sin. 71. Modesty must further be guarded in our very movements and gestures and gait. For the condition of the mind is often seen in the attitude of the body. For this reason the hidden man of our heart (our inner self) is considered to be either frivolous, boastful, or boisterous, or, on the other hand, steady, firm, pure, and dependable. Thus the movement of the body is a sort of voice of the soul. I know some ladies who have commented here and on other blogs would disagree with this reading. However, I am convinced that deportment mirrors virtue. Why we have, as a culture, come to prize a lack of manners with honesty is beyond me. How we hold ourselves, body language, can be that of walking in virtue and peace. 72. You remember, my children, that a friend of ours who seemed to recommend himself by his assiduity in his duties, yet was not admitted by me into the number of the clergy, because his gestures were too unseemly. Also that I bade one, whom I found already among the clergy, never to go in front of me, because he actually pained me by the seeming arrogance of his gait. That is what I said when he returned to his duty after an offense committed. This alone I would not allow, nor did my mind deceive me. For both have left the Church. What their gait betrayed them to be, such were they proved to be by the faithlessness of their hearts. The one forsook his faith at the time of the Arian troubles; the other, through love of money, denied that he belonged to us, so that he might not have to undergo sentence at the hands of the Church. In their gait was discernible the semblance of fickleness, the appearance, as it were, of wandering buffoons. Ambrose is referring to arrogance. I see it at dinner parties. The loud man who must boast of his business acumen, his success. Such a man is graceless. I see it in women who dress younger than their years. A forty-seven year old walking and dressing like a teen indicates a disjoint in the soul. A conversation behind me on a bus loud and full of self-righteous gossip can prove to be two hardened hearts, as charity is lacking. A narcissist cannot stop interrupting or talking. These things show a lack of virtue and maturity. Why do we value these coarse traits? 73. Some there are who in walking perceptibly copy the gestures of actors, and act as though they were bearers in the processions, and had the motions of nodding statues, to such an extent that they seem to keep a sort of time, as often as they change their step. 74. Nor do I think it becoming to walk hurriedly, except when a case of some danger demands it, or a real necessity. For we often see those who hurry come up panting, and with features distorted. But if there is no reason for the need of such hurry, it gives cause for just offense. I am not, however, talking of those who have to hurry now and then for some particular reason, but of those to whom, by the yoke of constant habit, it has become a second nature. In the case of the former I cannot approve of their slow solemn movements, which remind one of the forms of phantoms. Nor do I care for the others with their headlong speed, for they put one in mind of the ruin of outcasts. Ambrose is referring to the road-rage of his time. I see this in Bayswater. Men walking on the pavement not making way for women, not deferring to ladies. This is a violence of our times, a sign of arrogance and superiority. 75. A suitable gait is that wherein there is an appearance of authority and weight and dignity, and which has a calm collected bearing. But it must be of such a character that all effort and conceit may be wanting, and that it be simple and plain. Nothing counterfeit is pleasing. Let nature train our movements. If indeed there is any fault in our nature, let us mend it with diligence. And, that artifice may be wanting, let not amendment be wanting. Modesty and manners indicate a humble, gentle spirit. This can be learned. In a community, these traits are absolutely necessary for the peace of the whole. Families must retrench and teach the gentility which flows from the virtues. Anything less is selfishness. 76. But if we pay so much attention to things like these, how much more careful ought we to be to let nothing shameful proceed out of our mouth, for that defiles a man terribly. It is not food that defiles, but unjust disparagement of others and foul words.These things are openly shameful. In our office indeed must no word be let fall at all unseemly, nor one that may give offense to modesty. But not only ought we to say nothing unbecoming to ourselves, but we ought not even to lend our ears to words of this sort. 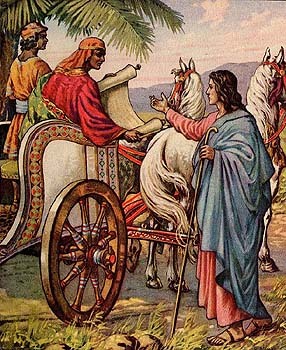 Thus Joseph fled and left his garment, that he might hear nothing inconsistent with his modesty. Genesis 39:12 For he who delights to listen, urges the other on to speak. To avoid senseless and uncharitable talk, I am accused of being anti-social. But, the truth is that it is more virtuous to run away from gossip and wasteful, silly talk than to engage in it. 77. To have full knowledge of what is foul is in the highest degree shameful. To see anything of this sort, if by chance it should happen, how dreadful that is! What, therefore, is displeasing to us in others, can that be pleasing in ourselves? Is not nature herself our teacher, who has formed to perfection every part of our body, so as to provide for what is necessary and to beautify and grace its form? However she has left plain and open to the sight those parts which are beautiful to look upon; among which, the head, set as it were above all, and the pleasant lines of the figure, and the appearance of the face are prominent, while their usefulness for work is ready to hand. But those parts in which there is a compliance with the necessities of nature, she has partly put away and hidden in the body itself, lest they should present a disgusting appearance, and partly, too, she has taught and persuaded us to cover them. 78. Is not nature herself then a teacher of modesty? Following her example, the modesty of men, which I suppose is so called from the mode of knowing what is seemly, has covered and veiled what it has found hid in the frame of our body; like that door which Noah was bidden to make in the side of the ark; Genesis 6:16 wherein we find a figure of the Church, and also of the human body, for through that door the remnants of food were cast out. Thus the Maker of our nature so thought of our modesty, and so guarded what was seemly and virtuous in our body, as to place what is unseemly behind, and to put it out of the sight of our eyes. Of this the Apostle says well: Those members of the body which seem to be more feeble are necessary, and those members of the body which we think to be less honourable, upon these we bestow more abundant honour, and our uncomely parts have more abundant comeliness. 1 Corinthians 12:22-23 Truly, by following the guidance of nature, diligent care has added to the grace of the body. In another place I have gone more fully into this subject, and said that not only do we hide those parts which have been given us to hide, but also that we think it unseemly to mention by name their description, and the use of those members. 79. And if these parts are exposed to view by chance, modesty is violated; but if on purpose, it is reckoned as utter shamelessness. Wherefore Ham, Noah's son, brought disgrace upon himself; for he laughed when he saw his father naked, but they who covered their father received the gift of a blessing. Genesis 9:22 For which cause, also, it was an ancient custom in Rome, and in many other states as well, that grown-up sons should not bathe with their parents, or sons-in-law with their fathers-in-law, in order that the great duty of reverence for parents should not be weakened. Many, however, cover themselves so far as they can in the baths, so that, where the whole body is bare, that part of it at least may be covered. This type of respect is almost unknown in our too-laid back society. Today, I saw an Extraordinary Minister of the Eucharist in blue jeans. We have lost the sense of respectful honor for God, for each other. We have no sense of time an place for actions, speech, dress. 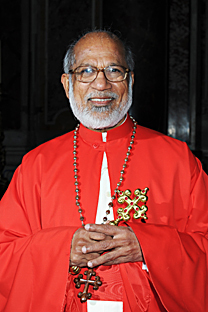 The sacredness of Mass is ruined by the senseless talk of who is going where and what is happening tomorrow. Modesty and humility, propriety and virtue go hand in hand. A child can learn to be modest and virtuous. He has the grace from baptism to be so. Nothing is lacking but example and discipline. If parents are modest, children will be as well. 80. 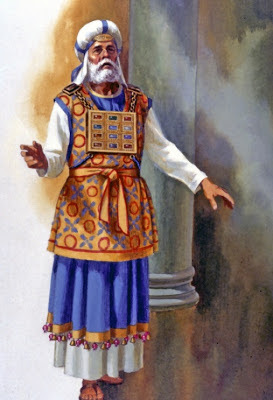 The priests, also, under the old law, as we read in Exodus, wore breeches, as it was told Moses by the Lord: And you shall make them linen breeches to cover their shame: from the loins even to the thighs they shall reach, and Aaron and his sons shall wear them, when they enter into the tabernacle of witness, and when they come unto the altar of the holy place to offer sacrifice, that they lay not sin upon themselves and die. Exodus 28:42-43 Some of us are said still to observe this, but most explain it spiritually, and suppose it was said with a view to guarding modesty and preserving chastity. Without outward discipline, there is no interior discipline. Without interior discipline, one cannot pursue perfection. The hierarchy of the soul is reflected in the integrity of the body. To be continued....The next section I "discuss" here will be St. Ambrose on the Four Cardinal Virtues...so much, so little time. So many people want Burke for Pope. I do, too, but I scarcely believe this could happen. It would be a miracle, but then, miracles do happen in the Church. Readers, let us pray for a miracle, for Burke, if that is God's Will.